In recent years there has been a lot of research and progress in image recognition. One field that has pushed this field forward is deep learning. Deep learning uses artificial intelligence algorithms on big data. Big data usually meaning a subset of data collected from the internet. One example of image recognition was when Google processed millions of YouTube videos and tried to work out what was contained in each video. The system could soon learn how to recognise if a cat or guitar was in a video, or indeed many other categories. 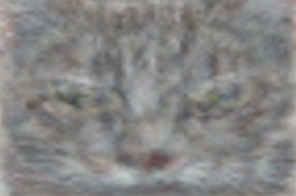 This is an image recognition problem known as image categorisation or image classification (the aim being to sort images into textual labels that describe each image, like ‘face’ or ‘cat’ or ‘person’). This system uses a neural network to learn to recognise images. Plato believed that every object or shape had what he called a platonic ideal. If you draw a circle it will never be perfect. Even if you draw it with a compass it will still be darker or lighter in certain areas, or the pencil line will be thicker in some places. A circle drawn on a computer might look perfect, however it is made up of pixels, so isn’t a perfect circle. Plato realised that perfect versions of shapes (or objects) didn’t exist in reality, therefore they must live in some heavenly realm outside of reality. All circles in reality are imperfect copies of the platonic ideal. No-one really believes this theory any more, although it is a fun philosophical idea. In terms of recognition though platonic ideals seem to reappear. 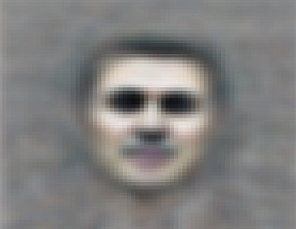 A Google engineer asked their image recognition neural network to reverse engineer the perfect face that was best suited to it recognising a face. This could be thought of as the platonic ideal of a face. They also did the same for a cat. See the results below. Platonic Ideal of a Face? Platonic Ideal of a Cat? ← Easy Fix: Briefly unavailable for scheduled maintenance. Check back in a minute.